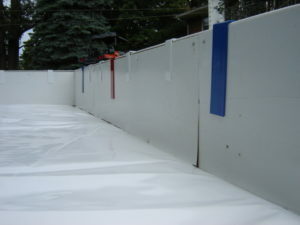 Since 1992 we have developed 6 different ways of protecting your liner. We will outline and review them here! 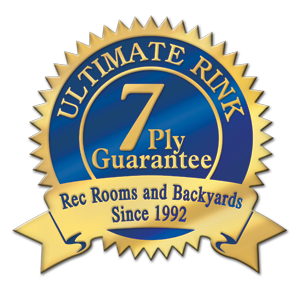 These 6 liner protection concepts use different products, different Ultimate Rink designs, systems and configurations of assembly and all are dependent on the style of your rink build. 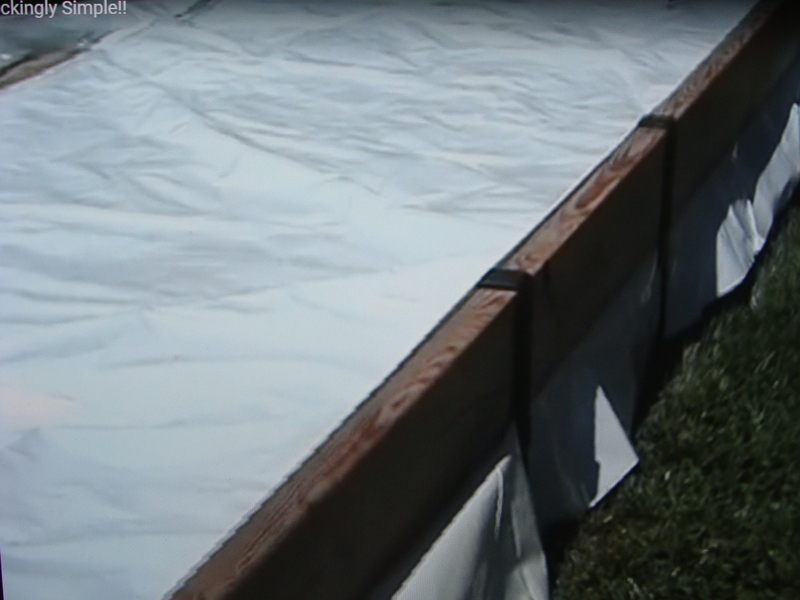 1.Order a liner one size bigger then you need and leave it with 1 fold (still folded) in the bottom of your rink lengthwise. 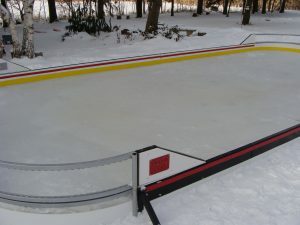 Then create a 2nd fold width wise and lay it against your grass, the rink bottom at the deep end….. or vise a versa. Then fill with water. The water will hold “the fold” down as it fills, the water will turn to ice, you will skate and play and now you have extra liner saved for next year. 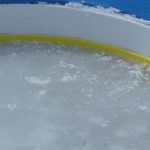 The ice melts, you trim off the damaged part and “presto” you now have virgin poly that was hiding under your ice. If you typically need a 40′ wide order a 50′ wide. 2.With our Classic Rink Stake you would be able to install your liner outside the frame of your ice rink creation and yes protect it. With this option you would need a frame guard that would essentially protect the liner by sandwiching it in place with a 1″ x 6″. 3. 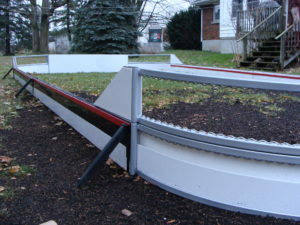 With the advent of our 5 Way Rink Stake in 2005 and a slight name change it opened up the opportunity to advance the 5 in 1 Rink Stake to a liner placement and liner protection on the inside of your rink frame. 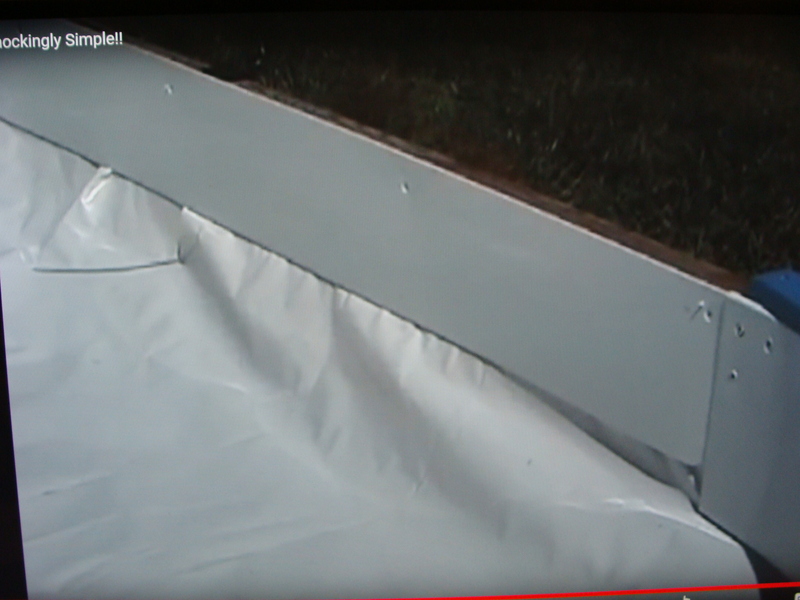 The first option was with a spruce 1″x 6″ and soon thereafter we introduced LPS (Liner Protection System). LPS is a 1/8″ thick puckboard in varying widths that was manufactured and sold on a roll. This roll was then easy to ship across the country and line the inner rink frame/boards of your rink with a white hard surface that reflects the sunshine(heat) away from your rink while protecting it from damage. 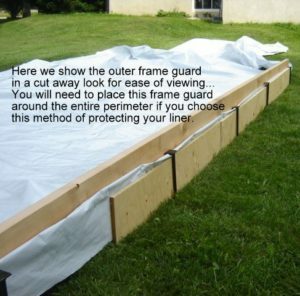 With this method you then improve your rink appearance and protect your liner. 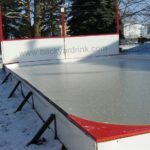 Your first step to Real Rinks for Real Yards! Practical and playful!!! Red Line Blue Line GripnGo’s hold LPS in place at appropriate points. Water line would fill rink bottom up to GripnGo. 4. 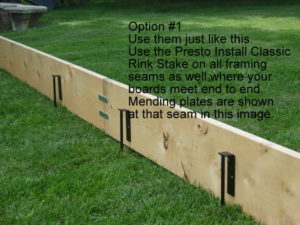 As seen in the 5 Way Rink Stake Video, last option with a dbl stack of boards and your liner wrapped over the first level and than adding 2nd level with LPS. 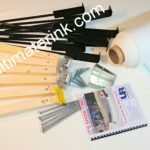 The most unique way of installation of LPS and is showing here with a level site. You will be able to place your LPS at any height on your upper frame and fasten with no puncture holes on your upper tier to cover most of your rink poly on lower tier. 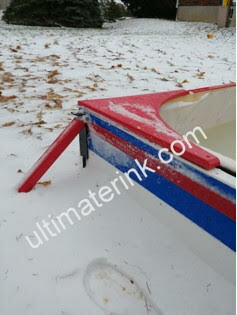 The liner tucks up and over the lower frame (not visible behind white poly) and the upper frame sits atop the lower edge to edge. Liner Protection is fastened to the inside face of the upper frame and hangs below covering the lower frame and liner. All screws have been fastened into the upper frame avoiding all liner punctures. Outer perimeter view with liner showing between upper and lower framing. 5. 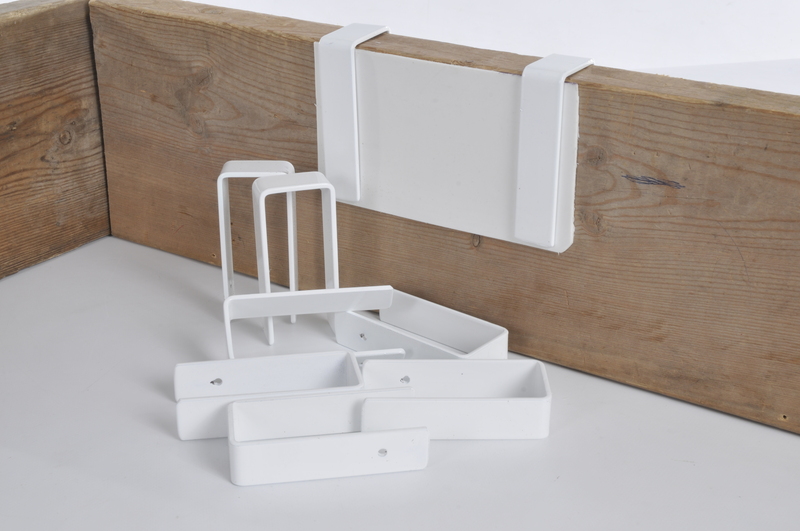 The Tru System is the Tru Corners and the Tru Board System as a single entity. 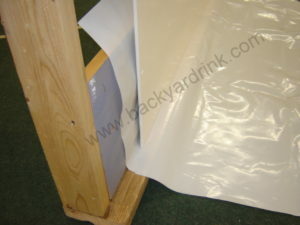 The Liner Protection is built into your board system and this the creme de la creme. The ideal oasis in the middle of winter and it’s in your very own backyard. 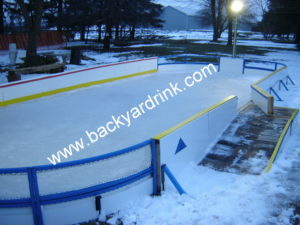 Build it once and have this amazing rink in your backyard for a Presto Install yearly. 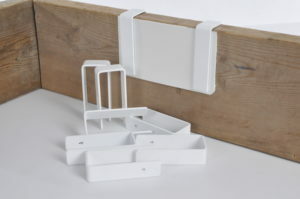 Cut away Puck board Dasher for Tru Board System side boards with Liner Protection sandwiched between 2″ X 6″ bottom sill, Dasher and back plate shown in grey color. 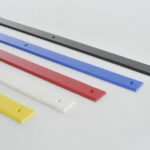 The Dasher would be installed last and after the poly is laid and positioned appropriately. These boards are 22.25″ tall. These are the same boards as seen to your left but clad in Puckboard and accented with colors. Ready Willing and Able. So capable of entertaining the family for many, many years. 6. Presto Install 2017 25th Anniversary Presentation. Now you can set up your entire Ultimate Rink, premium edition rink in advance and then take it down in less than an hour. This depends on the size of your rink. and when the season is done…..remove screws and all parts (about an hour depending on size) retaining there look, color and style. Store away for the summer.